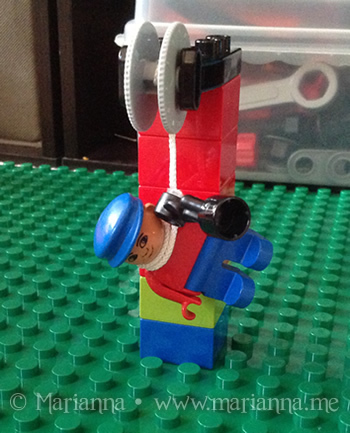 My boys created a somewhat disturbing but yet also comical LEGO display the other day. Haha! Looks like something my stepsons would create! I just waiting for the day when Bryson can build with LEGOs on his own. I love their creativity.. even if it's a bit morbid maybe, haha. Oh my - that is so wrong AND so funny. Wonder what he did to be sent to the gallows. LOL!! That's so funny. Kids are hilarious. That is a little creepy! Kids have the wildest imaginations, though!